Vaporesso’s Polar Kit is one of the fastest activating devices out there with an activation speed of 1 millisecond! 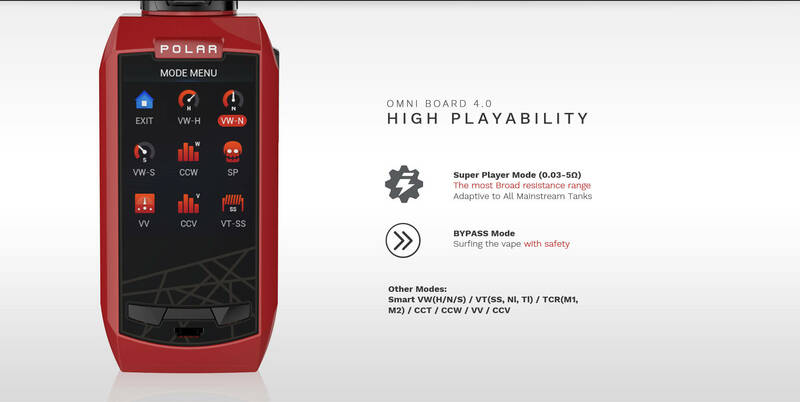 Its outstanding accurate power, 2.5A charging and intelligent interface is backed by the upgraded OMNI 4.0 Chipset. 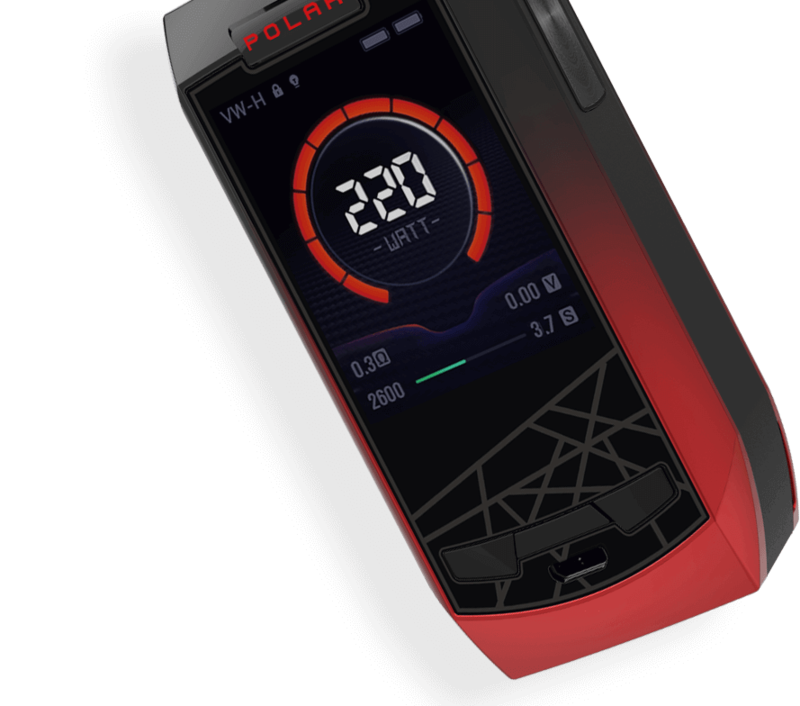 The Polar has a similar body shape to the Revenger, but with a 2” color display and large activation button. It’s also available in sever different color, including two tones! The Vaporesso Polar is one of the best devices to hit the market so far!